If convicted on all counts, Robert Farmer can now spend up to 16 years in prison. 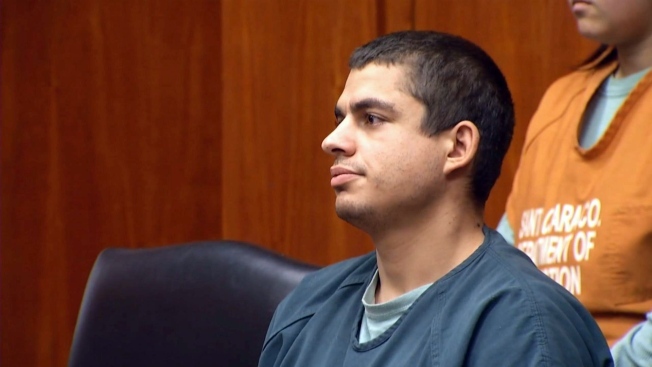 Prosecutors filed additional charges Wednesday against the accused San Jose cat killer. Robert Farmer is now accused of killing up to 21 cats, more than double the amount he was charged with last year. The new charges stem from missing cats, and DNA of those cats allegedly found in Famer's car and clothing. The prospector called it the Jane Doe approach, where a body has not been found, but DNA links a suspect to a missing person who presumed dead. "I filed a second amended felony complaint, adding 11 felony counts of animal cruelty for 11 additional victims we were able to obtain the identity through DNA analysis," Deputy District Attorney Alexandra Ellis said. Investigators said Farmer was caught on surveillance cameras last year trying to round up on of his alleged victims. The cats were sometimes mutilated and abused, according to investigators. When police arrested Farmer, they said there was a dead cat in his car. The incident occurred in San Jose's Cambrian Park neighborhood. On Wednesday, animal rights activists and cat lovers gathered outside the Hall of Justice during Famer's arraignment on the new charges. Other carried pictures of their cats, saying they were among Farmer's victims. "I think it's understandable," Ellis said of the response from activists and cat lovers. "Pets are family members to many people and I'm sure there's a sentiment to many people that animals don't get as much justice as people do in the criminal justice system, which isn't true from our perspective." If convicted on all counts, Farmer can now spend up to 16 years in prison.